Add approx. 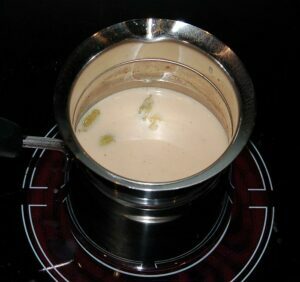 2 full teaspoons* of Yogita Chai Masala Organic mix into a small saucepan. Add approx. half a cup/mug of boiling water from your kettle. 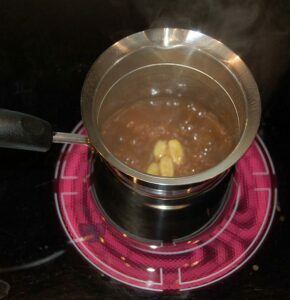 Bring back to boil & simmer for approx. 2 minutes stirring occasionally. Add approx. 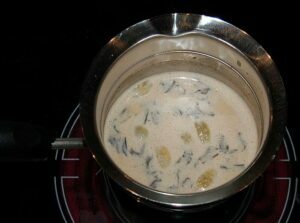 half a cup/mug of milk & bring to boil stirring occasionally. 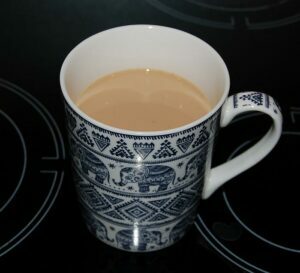 Within a minute as the milk heats up within the chai brew the colour starts to darken. The milk is about to boil; you will note it has changed to a beautiful rich light tan colour and the Cardamom pods and Ceylon Tea has started rising back up to the surface. Let the brew come to boil and then remove from heat. 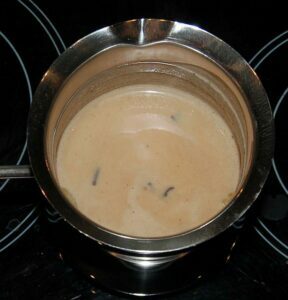 Let chai latte brew settle; most of the tea leaves will settle to the bottom. 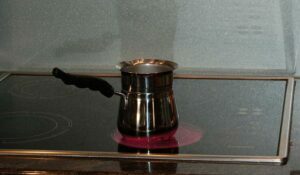 Pour into your favourite cup via a fine mesh tea strainer leaving the sediment at the bottom. Note: In India, Masala Chai is always served sweet! E.g. approx. 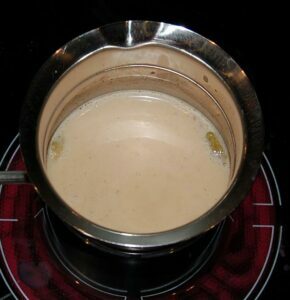 1 to 2 teaspoons of sugar per mug of chai.